Paris en fête, Paris en poème, Paris en chanson. As the car stopped in front of the nondescript building, I looked at the man on my right, hoping to put the same question to him one last time. You may have wondered about the different campuses that the Sciences Po community includes; whether from the stories of Minicrit, the library system that allows access to the awe-inspiring Paris library( with all due respect to our own) or perhaps the knowledge sharing enabled by video-transmitting lectures. With all the division that Sciences Po allows, branching out its range of information where students can focus on their interests, it somehow leaves little space for intercampus bonding. Paired with the sheer physical distance, we know little of the many limbs that make our Sciences Po work as a whole. But I would like to try to reduce that distance by just a tiny bit. 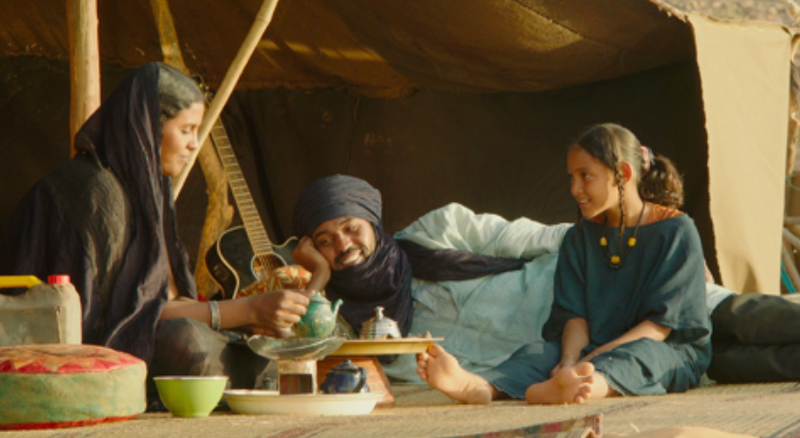 A cattle herder, his wife and daughter under a tent in the Malian desert, one could mistake the scene for a still from Wim Wender’s The Salt of the Earth. But African wooden statues perched atop a sand dune, falling silently under bursts of assault rifles, and children mimicking a game of football in the shadow of a century-old city complete this tryptique of tragedy set against a backdrop of Djihad in Sub-Saharan Africa. This quote by Gandhi is the figurative illustration of the strength he sees in non-violence. Some say that this concept cannot lead to justice or equality, to the aim we are fighting for, because only violence triumphs. His story and actions in History tells us that this idea is both true and false. True because his efforts lead to India’s independence. False because it couldn’t avoid massacres and wars. Also, one of Gandhi’s way of protesting through non-violence was hunger strike. But isn’t this act a violence against one’s body? And thus against himself? A pain for his relatives as well? And forced into an unknown dance. In what direction it was expected to progress. Just the same things with different names. As it tried to make sense of life’s new age. That the only purpose it needed was to be. Is it good to be “Citius, Altius, Fortius” ? You may wonder if the title refers to Eminem’s song. Good news, it does, but well, not for a commercial reason!!! Lately, a lot of First Years have asked to Second Years what are their plans for the future, and more especially for the 3A. Second Years, let’s face it: even though this 3A-traveling-working-discovering thing is gonna be one of the best moment of our lives, we’re also totally freaking out. Last night, I sat in bed playing some uninteresting video game on my laptop, trying to pass the time while on vacation from my college in France. Suddenly, my phone buzzed with the familiar tune of the BBC notification, and almost simultaneously I received a message on Facebook from one of my French friends, informing us in a group chat that there had been an attack in Nice. I had lived this almost exact same experience 8 months ago, sitting in my room late at night in Le Havre, a mere two hours away from the horrific events that unfolded in Paris. But there is no getting used to horrific news like that. Growing up in India, there was no shortage of terrorist violence depicted in the news, something that instead of making me more accustomed to terrorism, only made me more thankful that where I lived was a much safer area and that these things were not meant to occur. As I read the headline, it first struck me that it was possibly an accident. After all, a truck losing control and running over pedestrians is not an unimaginable scenario. But as I opened the app to read more about it, I realized how much of a best-case scenario that was. ‘Dozens’ of people were presumed dead. Not ‘feared dead’ — it was already beyond that. The victims? Families, friends, anyone in Nice who had gone to celebrate the fête nationale, Bastille Day, could have been among them. The driver, gunned down as soon as possible, managed to drive almost a mile and a half through a crowd. I was reminded of the siege at the Bataclan — the victims’ only infraction being present at a rock concert. And here, one could argue it was a plot against patriotism. Sure, there are fireworks and people sing la Marseillaise, but it is not just a day to proudly display your love of France. It is a holiday, a perfect day for a family outing, not unlike the family barbecue at the Fourth of July. For some people at the Promenade, their only crime was to have been enjoying a nice evening with their family and friends. That is what hits me hardest about terrorist attacks: they hit us where it hurts most. To me, 9/11 did not stand out because they took down the towers. Initially, as I grew up in a post-9/11 world, I did see it as an attack on democracy and the American ideals. Yet as I grew older, it became clearer to me why the event would be forever etched in my mind: because the means and the object of the destruction were in fact every day realities for most people. It was just another day for the crew of the airplanes, the staff of the buildings, the first responders who would arrive on scene (many of whom would lose their lives in the line of duty). Even the London Underground, which serves as a means of transportation daily for hundreds of thousands of commuters, was the last place you would expect an attack. Thus, when I read that the attacks had unfolded at a gathering meant to celebrate the heritage of a nation, my heart sank. Of course, that is the very nature of a terrorist attack. My first reaction was to think of the few friends I had who lived in Nice. Soon enough, thankfully, I found out they had been out of town that fateful evening. Overcoming the pang of guilt I felt for being relieved that no one I knew was affected, I pored over the live updates that were being refreshed every few minutes, hoping to determine how many had been lost, or at least see which scum of the earth would claim responsibility for this cowardly act. Horror crept in as I read that 70 people had already been declared dead. Worse still was the fact that none had taken responsibility for the attack, and the perpetrator’s identity had not been released yet. As the night turned into early morn, the toll rose to 80 while there was no identity revealed. I turned on the television to watch the news, and already there were people criticizing the apparent lack of security at the area. The anger and fear is understandable — how could the truck have breached security measures and driven on a street closed off to vehicles? But the truth is that there is only so much that can be done to protect a population without taking away their liberties. The imposition of curfews, martial law or even a state of emergency are always met with great criticism and outcry. Would I mind if my own country or my country of residence spied on me? That is one question I have been wrestling with for some time, and the truth is I would not mind, because there is no way for me to know for sure that they already do not spy on me. I have nothing that could be of importance to the security of nations to hide. If the government tells me to stay home and bolt the doors, I will comply willingly. Critics of such measures argue that we are letting terror win by undertaking such measures. I disagree. The objective of terrorism can be simplified to that of making us feel unsafe in our own homes. But the strengthening of security and the curtailing of liberties should not be likened to running scared — after all, additional security measures do not increase the chances of an attack. Some people argue that profiling and stereotypes allow people to become radicalized, but I believe that every person who carries out these attacks has a choice. They can choose to have faith in humanity, or they can choose to think that humanity has failed them. It is a similar choice for those affected by these attacks. At the end of the day, it is indeed a war of differing faiths. It is a war by those who have no faith in humanity, individual freedom and society on those who do. The fighting may take place in our cities, our nations or even in some nondescript town in a far-away land. Yet the victory of courage over fear in our hearts is the one that will count most. Vive la France, et vive l’humanité. Marie on Why Did We Just Have That Huge Party for Some Festival Called Diwali? SciencesPo Story Time: Diwali, rewriting the myths | Dragon Déchainé on Why Did We Just Have That Huge Party for Some Festival Called Diwali?